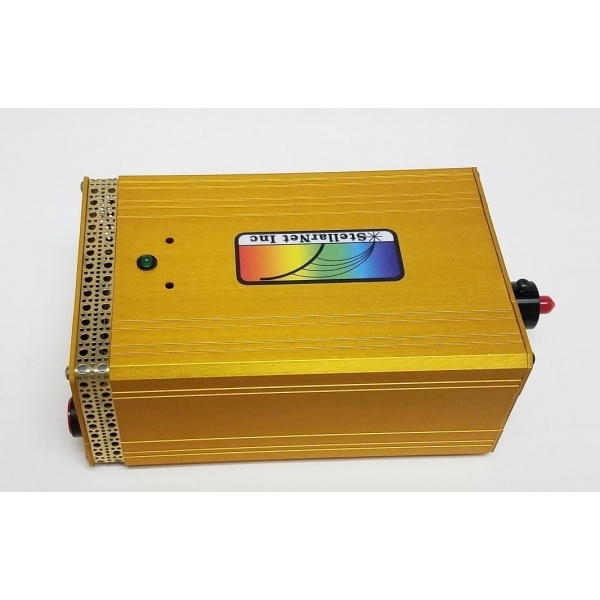 The STN-SL3 UV Deuterium Light Source emits a deep UV spectral output over the 190-450 nm range and higher, beeing suited for almost every UV spectroscopy applications. 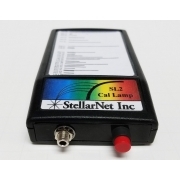 Manufactured by the supplier Stellarnet. 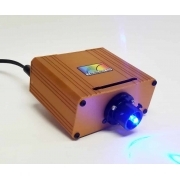 StellarNet has a variety of UV light sources available for spectroscopy applications. 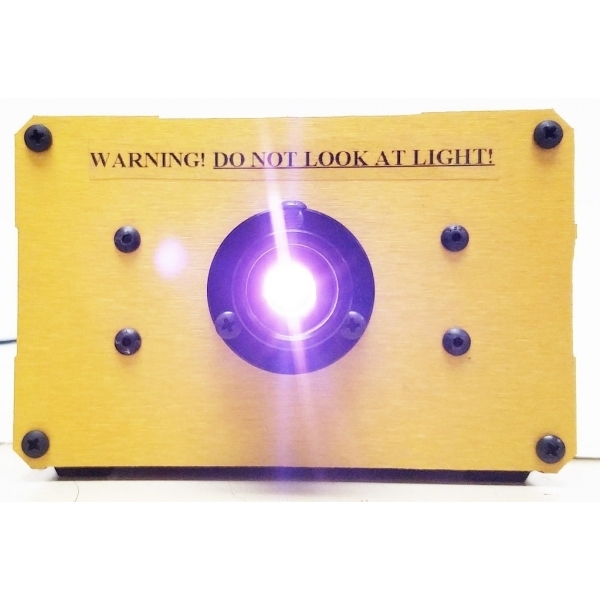 Ultra-violet light interacts with many types of molecules and samples and thus finds use in environmental studies, biological applications, chemical processing, and many other applications. 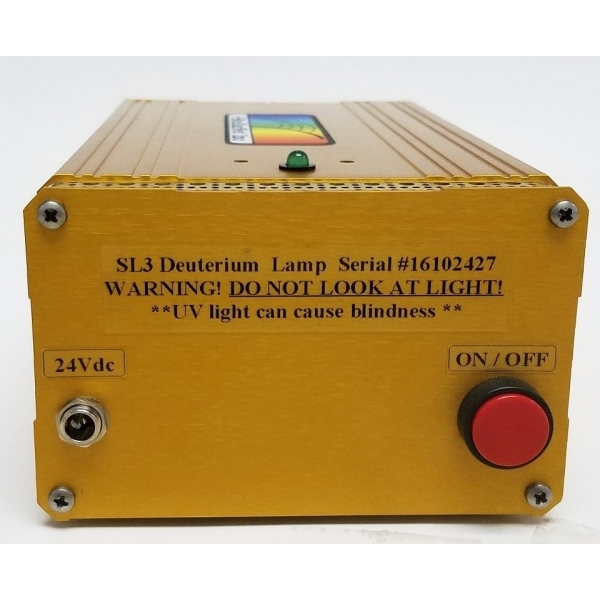 The STN-SL3 Deuterium Light Source emits a deep UV spectral output over the 190-450nm range and higher. 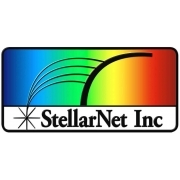 When using StellarNet STN-BLACK-Comet concave grating spectrometers, you can perform spectroscopy applications past 550nm. 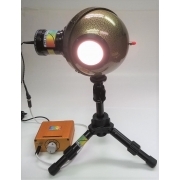 High Output Power: With over 15 Watts/m^2 the STN-SL3 is one of the brightest compact UV light sources available. 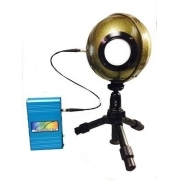 It can be used for absorbance, transmission, fluorescence, and even reflectance spectroscopy. Long Life: 2,000 hour performance due to special air flow design and ultra quite fan operation. Customer reports of continuous operation for over a year! 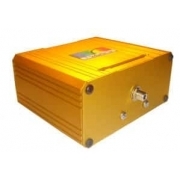 Portability: small size allows for use in field or mobile spectroscopy applications. 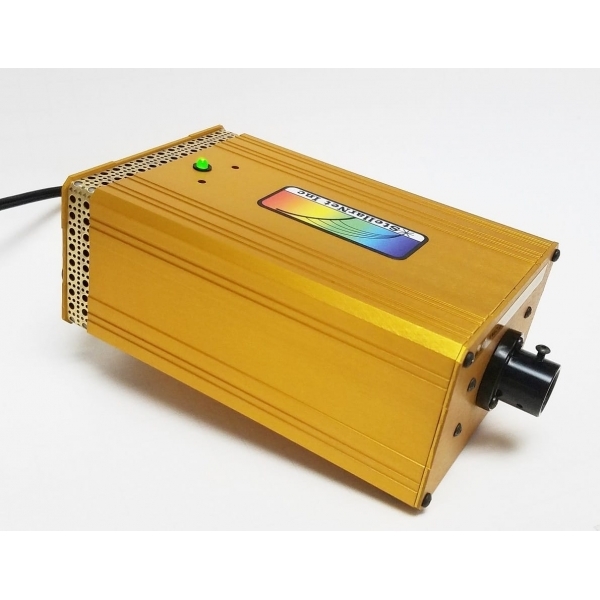 2,000 hour, high performance UV Deuterium light source (190 – 450nm). 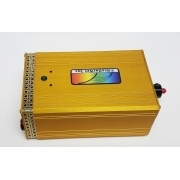 Small 3 x4 x7 inch enclosure, ultra-stable for spectroscopy, includes Universal Power adapter for 24 volt. Integrated filter holder for standard size 0.5 diameter disk filters. 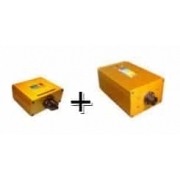 High Power UV Calibration Light Source and power supply. Includes USB drive with lamp spectral intensity data in nm increments (NIST traceable calibration file) and Certificate. 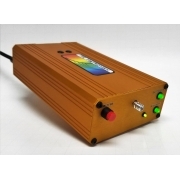 Easily calibrate UV spectrometers and sensors over the 200-450nm range. Lens to install in filter nose base for increasing the deuterium lamp intensity 7-10x gain. 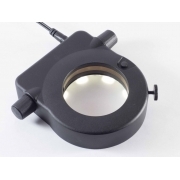 Highly recommended for highly absorbing samples and reflectance measurements. 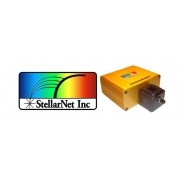 Stellarnet broadband light sources are suitable for all spectroscopy applications, allowing to measure in reflectance, aborbance and tranmittance configurations. The different accessories needed are listed here. 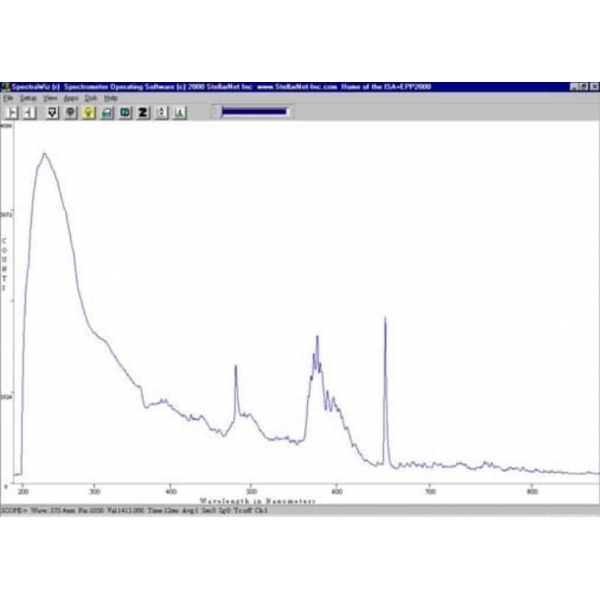 Here you will find a variety of spectroscopy accessories for the most popular setup configurations for transmittance, absorbance and reflectance measurements . Manufactured by the supplier StellarNet . 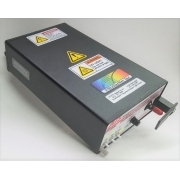 Iberoptics offers a variety of fiber optic cables for use with their compact and modular spectroscopy instrumentation. 400, 600, or 1000µm core diameters . Solarization Resistant fibers available for deep UV applications (190-1100 nm). VIS-NIR options ( 400-2200 nm). Models ranging from 190-2200nm. Specialty fibers & connectors available. 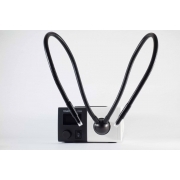 Manufactured by the supplier Stellarnet .